Residents of villages in East Jaiñtia Hills district along the Indo-Bangla border, who have been neglected for many years, got some hope from the Meghalaya Democratic Alliance Government. All these years, residents of Hingaria, Huroi, Lahaleiñ and Lejri village under Sutnga-Saipung Assembly constituency in East East Jaiñtia Hills district have been at the “mercy of Bangladesh” for healthcare and other services as there are no proper healthcare facilities in the area. The road connecting the four villages is in deplorable condition and vehicles cannot ply as the road is muddy. The nearest market and PHC for the residents of the four villages is Umkiang PHC on the National Highway-44. The distance of the katcha road from the four villages to the national highway at Sonapur village is about 60 km. 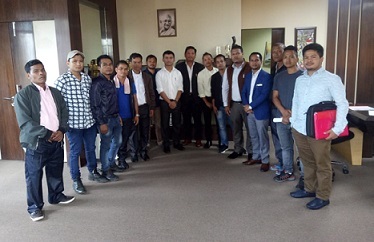 On Tuesday, a delegation from the said villages, met Meghalaya Chief Minister Conrad K Sangma and aired their long pending grievances before the Government and submitted a petition to the Chief Minister. The villagers urged the CM and the Government to take speedy action to address the problems and stressed on the need for improving as well as metalling and blacktopping of the Borkhat-Sonapur road without further delay. They also demanded setting up of a primary health centre in any of the said villages. The delegation said that on many occasions people from the said villages were compelled to take patients illegally to a nearest health centre in Bangladesh via the border for treatment since there is no primary health centre in the area, and the PHC at Umkiang village is too far, while it is very near to Bangladesh. “We are at the mercy of Bangladesh for many years. Though it is illegal, but there is no option for the villagers who have to often go to Bangladesh to meet their medical needs,” Kynjamon Amse told reporters here. He said that many precious lives have been lost due to absence of proper medical care and due to long distance from the villages to the nearest PHC. In the petition, the residents told the Government that they also have to depend on Bangladeshi traders for domestic needs and products including biscuits, tea, non-vegetable items and others. Urging the State Government to immediately improve the Borkhat-Sonapur road, the delegation also said that the Rymbai-Borkhat-Jalalpur road funded by the NEC at around Rs 97 crore has been pending till date since 2011. Last year, the residents of Huroi village had also decided to boycott the Assembly elections on February 27, 2018 as a mark of protest against the Meghalaya Government. Alleging the past Government of paying no heed to the problems despite several requests and reminders, Amse said that appointment was sought twice for a meeting with the former Chief Minister, Mukul Sangma but there was no response. 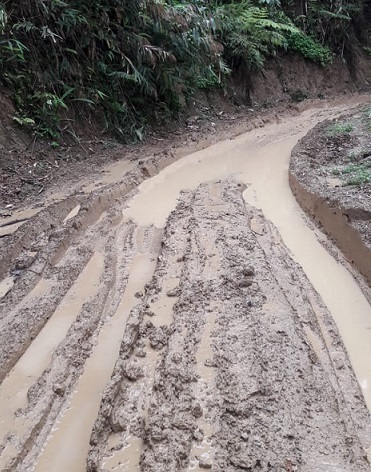 Amse said that the main problem which has affected the lives of the people in the area is the poor condition of Sonapur-Borkhat road and the unavailability of a primary health centre nearby. “We have hope in the new government and the present chief minister,” the delegation said. The residents also urged the state government to take steps for opening of border haat in the above mentioned villages as the haat would improve livelihood and economy of the people, as well as ensure employment. The border residents also admitted that these villages being near to Bangladesh, often used Bangladesh mobile network as it is easily accessible in the area for local communication. According to Amse, the chief minister has assured to look into the grievances especially to improve the road network, and he has spoke to officials of the state PWD and NEC as well. “A meeting between the officials of the state PWD and NEC will be held in the next few weeks,” Amse said. Last year, the people of Huroi village had decided to boycott the Assembly elections held in February 27 this year in protest against the government for not paying attention to the people’s problems. They also sought the intervention of the National Human Rights Commission and Meghalaya Governor last year as the state government failed to show action. ?